Before traveling to the Socialist Republic of Vietnam, you need to make sure that your visa and traveling papers are in order and before everything, you need to make sure that your passport is valid for at least another six months following the date of entry on Vietnamese territory. 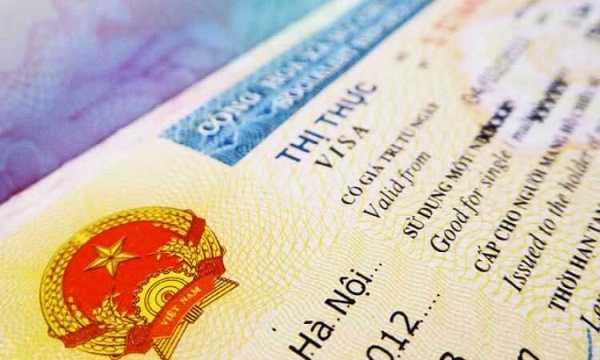 Travelers of most countries are required to get an entry visa before departure or a pre-approved entry visa (visa is issued on arrival at Vietnam’s International Airports). Still, there are certain foreign tourists are eligible to have Vietnam visa exemption. Check the information below. Visas to Vietnam can be arranged in two ways—by applying at Vietnam Embassies or Consulates worldwide or by pick up upon arrival. It is the easiest way to obtain your tourist visa to Vietnam. You just need to fill in an application form and pay for the processing fee, then get your visa approval letter within 2-3 working days. Our service is in helping you to apply to the Immigration Office for the Visa Approval Letter on arrival. Once you have an approval letter in your hands you can get your visa stamped at an international airport in Vietnam any time you arrive. There are some exceptions for citizens of ASEAN countries and Japan, Korea, Russia, Scandinavia and 6 countries in Europe. 30 days Visa exemption applied for Nationals of ASEAN countries: Cambodia, Indonesia, Laos, Malaysia, The Philippines, Singapore, and Thailand. 15 days Visa exemption applied for Nationals of South Korea, Japan, Russia, Norway, Sweden, Denmark, Finland, Belarus,Germany, France, Great Britain, Italy, and Spain. The last 6 European countries, Belarus, Germany, France, Great Britain, Italy, and Spain are waived visa from 01 July 2015. Make sure that your passport has at least 6 months validity beyond the date of entry otherwise you need to renew it before applying for a visa to Vietnam. You need to prepare some US cash for the stamping fee since no credit cards will be accepted. Passengers holding the following passports are not able to get Visa on Arrival to Vietnam: Pakistan, Bangladesh, Sri Lanka, Iran, Iraq, Sudan, Saudi Arabia, Syria and Libya, Nigeria.